Ժնևյան կոնվենցիաները միջազգային զինված ընդհարումների ժամանակ նախատեսում են հետևյալ չորս կատեգորիայի անձանց պաշտպանության ու նրանց նկատմամբ վարվելակերպի իրավական հիմքերը. ↑ ԿԽՄԿ․ What is international humanitarian law? ↑ Stewart, James (30 June 2003). "Towards a Single Definition of Armed Conflict in International Humanitarian Law". 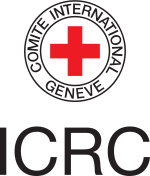 International Review of the Red Cross. 850: 313–350. ↑ Yun, Seira (2014). "Breaking Imaginary Barriers: Obligations of Armed Non-State Actors Under General Human Rights Law – The Case of the Optional Protocol to the Convention on the Rights of the Child". Journal of International Humanitarian Legal Studies. 5 (1-2): 213–257. ↑ Christopher Greenwood in: Fleck, Dieter, ed. (2008). The Handbook of Humanitarian Law in Armed Conflicts. Oxford University Press, USA. ISBN 0-19-923250-4. p. 20. ↑ Մանուի օրենքներ VII.91-92 Տես նաև, Singh, Nagendra: "Armed conflicts and humanitarian laws of ancient India," in C. Swinarski (1985). Studies and Essays on International Humanitarian Law and Red Cross Principles. The Hague: Kluwer Law International. pp. 531–536. ISBN 90-247-3079-1. 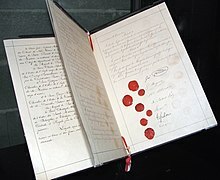 ↑ Convention (IV) respecting the Laws and Customs of War on Land and its annex: Regulations concerning the Laws and Customs of War on Land. The Hague, 18 October 1907. Jean Pictet (1985). Development and Principles of International Humanitarian Law. Dordrecht: Martinus Nijhoff. ISBN 90-247-3199-2.